All these jobs have different entry requirements in terms of flying qualifications and experience. Ultimately you need to hold a CASA Commercial Pilot Licence. Civil Aviation Safety Authority (CASA) currently prescribes two methods of flight training to meet the minimum requirements for the issue of a Commercial Pilot Licence – by completing either an integrated (CASR Part 142) or non-integrated (CASR Part 141) course of CPL training. A CASR Part 142 operator will provide an integrated course of flight training & theory to issue a CPL in a minimum of 150 hours of flight training. Some (not all) Part 142 operators are also Registered Training Organisations (RTO’s) and may offer a tertiary qualification such as a Degree, Diploma or Certificate. You may even be able to apply for a student loan (note: student loans often only apply to the CPL component of training, so training up to and including the PPL level may still have to be financed by you independently). The advantage of an integrated Part 142 CPL course is that the required flight time is reduced given the intensive nature of the course. However, this usually also means very limited flexibility in terms of when you can do the course (usually full time). You may also have to pay up-front course fees, enrollment fees and if you do not meet the required competency standards in the minimum hours prescribed, additional flight training will be required at your own expense, which may or may not be covered under a student loan. A CASR Part 141 operator will provide a non-integrated CPL course with a minimum of 200 hours of flight training. Part 141 operators are generally not RTO’s and so will not generally provide a tertiary qualification or provide student fee-help. However, the advantage of a Part 141 flight training provider is that you can study at your own pace and build relevant experience over time to achieve your Commercial Pilot Licence dreams, thus allowing you to balance work, study and social life as you progress towards a CPL. There are often no entry fees and ultimately, you will still hold the same CASA CPL qualification, but benefit from more experience! A Part 141 CPL course like the Australian Aerobatic Academy’s will also have more scope to provide additional flight training within the 200-hour CPL course to meet the relevant competency standards in a realistic time frame, or to provide additional beneficial skills. For instance, basic aerobatics and spinning endorsements, upset recovery training and advanced stall recognition and recovery – flight training that may not be in a Part 142 integrated course, which will have been designed to the minimum standard in the minimum cost and time to be attractive to the consumer. Not all flight training organisations are the same! Some are cheaper than others, some offer live-in courses, some like the Australian Aerobatic Academy offer further training to encourage safer flight outcomes by adding elements such as spinning, upset recovery and basic aerobatics. All will generally offer advanced aircraft conversions, which may include “glass” cockpits such as the Cirrus SR20. You will obtain a CASA CPL when you pass the relevant theory exams, meet the flight time requirements and pass a flight test in the required elements to the required competency standards. However, how you embark on that process, how long it takes, how much it will cost, and what additional qualifications (if any) you will gain along the way is very much up to you and what you think is the best way to your intended career goal. It is not a short process – full time can take up to 12 months, part time even longer. Remember: the CPL is only a “stepping stone” to a career in aviation! A “basic” CPL will permit you to fly a single-engine aircraft, by day, in fine weather conditions (VMC) – to most prospective employers this is not particularly useful. In order to be EMPLOYABLE in the aviation industry, you must meet an operator’s minimum experience requirements, some of which are highly stringent and largely unobtainable unless you have extensive commercial flying experience. How do I get more experience and qualifications to be employable? By further qualifying your CPL with endorsements and ratings such as: Night VFR, Instrument and Instructor Ratings, Multi-engine aircraft class endorsements, the list goes on. 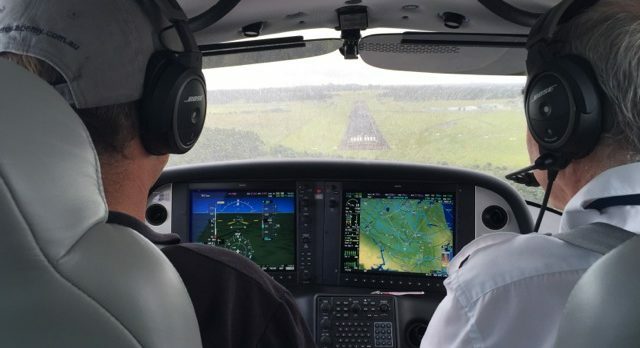 You will also need to gain real-world commercial experience – often in light aircraft in remote areas before chasing a multi-engine job closer to civilisation. The path you choose will often depend on your intended career goals but also your time, financial and personal situation. Is it all worthwhile? YES! Flying for a career is challenging, rewarding and offers experiences that can’t be matched in any other field of endeavour. Unfortunately, there are no guarantees of a career in aviation. However, right now is a good time to start with airlines expanding and people moving through the industry quickly. This opens the potential for flying jobs with lower levels of experience as operators are forced to lower their requirements to keep up supply. However, it also means that experienced instructors are being pulled out of the training environment and moving on to bigger machines and higher-paying jobs, leaving potential gaps in knowledge and flying skill for the newer generations. Irrespective of which flying school you choose to learn to fly at, do your research! Cheapest is not necessarily the best! Ensure that your initial flight training is of the highest calibre and provides you not only with the CASA qualification you desire, but also the skills you need to SURVIVE! Every pilot must be completely comfortable in the three-dimensional airborne environment and, more so, able to CONTROL it in all three dimensions with precision and confidence – especially when you are responsible for the lives of others. The Australian Aerobatic Academy’s CPL syllabus incorporates basic aerobatics, spinning and upset prevention and recovery as an integral part of the course – a focus of more and more airlines worldwide as automation takes the more mundane flying tasks away from the pilots in larger, more sophisticated aircraft. However, automation can and does fail – when it does, it is up to the pilot to ensure a safe outcome…. will your training prepare you for a worst-case scenario, or are you just getting a qualification? Make your decision carefully – your life and the lives of your passengers may depend on it! Need more information? CONTACT US TODAY for a free consultation on your commercial pilot career aspirations! Hi guys, I had the chance over the weekend to spend some time with Pete Townsend who helped me to start getting my aeros back into shape after a 6 month pause. I had a fabulous time with an instructor I really can’t recommend highly enough.